The Friends' Association was founded in 1998 in the presence of a survivor by dedicated citizens. Their aim was to preserve the memorial site as a place of commemoration, of learning and of meeting. 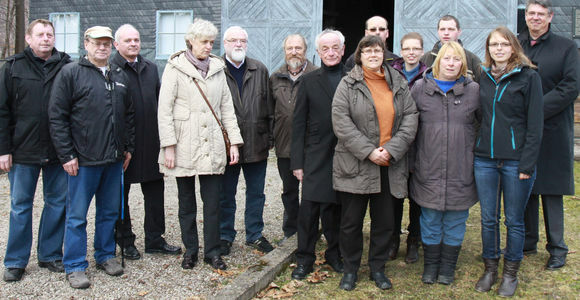 Relatives of former inmates, the town of Lehesten, three parishes, several companies, the district branch of the party "Die Linke", and the Foundation Buchenwald and Mittelbau-Dora support this aim as members of the association. Members are in close contact with survivors of subcamp Laura and their relatives. They participate in events of commemoration and help maintaining the memorial. The association regularly look after school classes and youth groups visiting the site. Research about the fate of prisoners as well as networking with other associations complete the portfolio. Several films about camp history were initiated by the Friends' Association, which also provided know-how for the content.